Ben Pastor’s Martin Bora series mixes historical fact with fiction and is told from the perspective of Bora, a World War II German officer and master detective. The Horseman’s Song, the sixth entry in the saga (and a prequel to the other Bora mysteries), adds a provocative twist, with Bora investigating the murder of legendary poet Federico Garcia Lorca—an unsolved case in real life. It is 1937, and Bora is a fledgling lieutenant on loan to Spanish loyalist forces in the Aragon region during the country’s civil war. Tensions are high, with loyalist and red nationalist camps within a well-aimed artillery shell from each other. When Bora comes upon Lorca’s corpse in the hills, much is at stake; whichever side is responsible for the much-lauded writer’s death would lose support from the Spanish people. As Bora conducts his investigation, Lorca’s nationalist friend, Philip Walton, carries out his own hunt for the killer. Both Bora and Walton are committed to finding justice—if they don’t kill each other first. The Horseman’s Song contains the elements of a classic whodunit, but the novel’s primary attraction is its setting and characters. Pastor’s writing is thick with atmosphere; one can taste the dust and blood of the region. As the beleaguered soldiers on both sides bicker and brace themselves for the cataclysm to come, Pastor weaves a poignant, convincing portrait of life during wartime. Bora himself is a compelling protagonist, erudite enough to recite Aristotle to himself while repelling an ambush and innocent enough to fall for a local lass who changes his perspective on love. His eventual confrontations with the older, more cynical Walton, while late in coming, are the book’s highlight. Mystery aficionados may find the book slow going; though packed with incidents, the story prefers to move at a trot rather than achieve a full gallop. 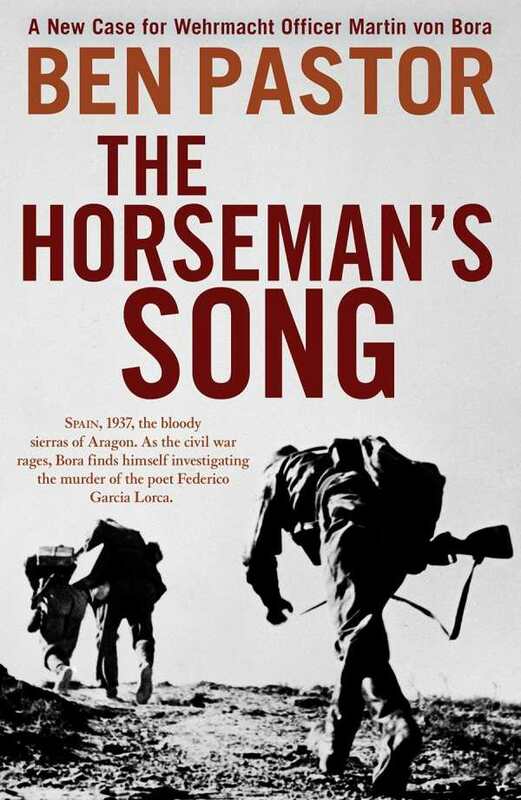 But if The Horseman’s Song isn’t as dynamic as it could have been, it still has Pastor’s authoritative voice and its gritty wartime setting to recommend it.